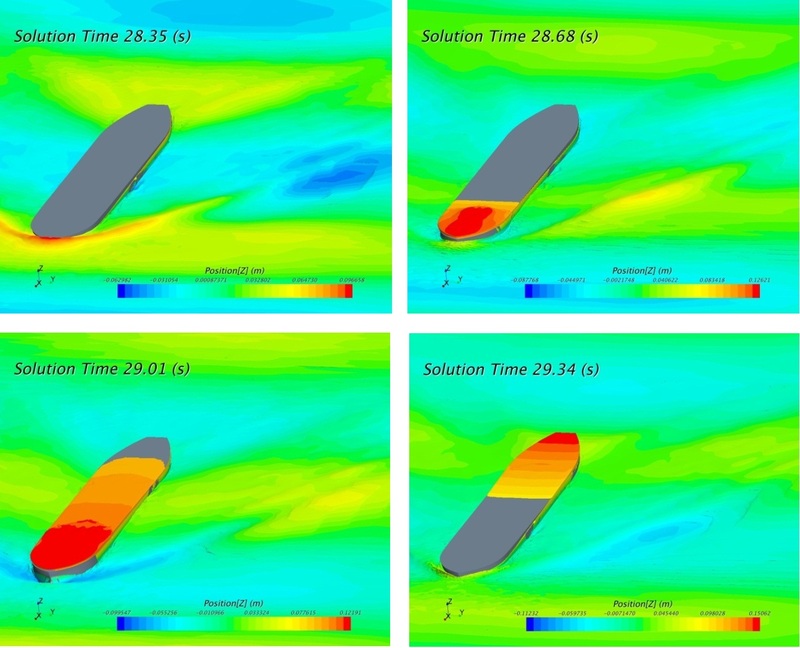 Dr Mingyu Kim, in the Department of Naval Architecture, Ocean and Marine Engineering at the University of Strathclyde, is using ARCHIE-WeSt to simulate the added resistance with ship motions in waves by CFD. Added resistance due to waves is one of the major components affecting ship performance in realistic operating conditions and it is also of interest as the main factor for the fuel consumption in a seaway. Therefore, the accurate prediction of the added resistance with ship motions is essential to evaluate the ship operational efficiency, plan a safe and energy efficient voyage and assess environmental impact. The project is to undertake researches into analysis and design of ships to reduce carbon emissions as part of the ship as a system with other academy and industry partners. For more information about the project contact Dr Mingyu Kim (mingyu.kim [at] strath [dot] ac [dot] uk), Research Associate at the Department of Naval Architecture, Ocean and Marine Engineering at the University of Strathclyde.